Could you define the different styles of art? Abstract – A 20th century style of art in which nonrepresentational lines, colors, shapes, and forms replace accurate visual depiction of objects, landscape, and figures. The subjects often stylized, blurred, repeated or broken down into basic forms so that it becomes unrecognizable. Intangible subjects such as thoughts, emotions, and time are often expressed in abstract art form. Art Nouveau – A painting, printmaking, decorative design, and architectural style developed in England in the 1880s. Art Nouveau, primarily an ornamental style, was not only a protest against the sterile Realism, but against the whole drift toward industrialization and mechanization and the unnatural artifacts they produced. The style is characterized by the usage of sinuous, graceful, cursive lines, interlaced patterns, flowers, plants, insects and other motifs inspired by nature. Cubism – An art style developed in 1908 by Picasso and Braque whereby the artist breaks down the natural forms of the subjects into geometric shapes and creates a new kind of pictorial space. In contrast to traditional painting styles where the perspective of subjects is fixed and complete, cubist work can portray the subject from multiple perspectives. Dadaism – An art style founded by Hans Arp in Zurich after WW1 which challenged the established canons of art, thoughts and morality etc. Disgusted with the war and society in general, Dadaist expressed their feelings by creating “non-art.” The term Dada, nonsense or baby-talk term, symbolizes the loss of meaning in the European culture. Dada art is difficult to interpret since there is no common foundation. Expressionism – An art movement of the early 20th century in which traditional adherence to realism and proportion was replaced by the artist’s emotional connection to the subject. These paintings are often abstract, the subject matter distorted in color and form to emphasize and express the intense emotion of the artist. Impressionism – An art movement founded in France in the last third of the 19th century. Impressionist artists sought to break up light into its component colors and render its ephemeral play on various objects. The artist’s vision was intensely centered on light and the ways it transforms the visible world. This style of painting is characterized by short brush strokes of bright colors used to recreate visual impressions of the subject and to capture the light, climate and atmosphere of the subject at a specific moment in time. The chosen colors represent light which is broken down into its spectrum components and recombined by the eyes into another color when viewed at a distance (an optical mixture). The term was first used in 1874 by a journalist ridiculing a landscape by Monet called Impression – Sunrise. Pop Art – A style of art which seeks its inspiration from commercial art and items of mass culture (such as comic strips, popular foods and brand name packaging). Pop art was first developed in New York City in the 1950’s and soon became the dominant avant-garde art form in the United States. Realism – A style of painting which depicts subject matter (form, color, space) as it appears in actuality or ordinary visual experience without distortion or stylization. Romanticism – An art style which emphasizes the personal, emotional and dramatic through the use of exotic, literary or historical subject matter. Surrealism – An art style developed in Europe in the 1920’s, characterized by using the subconscious as a source of creativity to liberate pictorial subjects and ideas. Surrealist paintings often depict unexpected or irrational objects in an atmosphere of fantasy, creating a dreamlike scenario. Symbolism – An art style developed in the late 19th century characterized by the incorporation of symbols and ideas, usually spiritual or mystical in nature, which represent the inner life of people. Traditional modeled, pictorial depictions are replaced or contrasted by flat mosiac-like surfaces decoratively embellished with figures and design elements. Trompe l’oeil (Trick of the Eye) – A style of painting in which architectural details are rendered in extremely fine detail in order to create the illusion of tactile (tangible) and spatial qualities. This form of painting was first used by the Romans thousands of years ago in frescoes and murals. Will the value of a limited edition increase like other collector’s items? By their nature of being limited in number, demand for certain limited edition prints can be greater than the number of reproductions produced for the edition. Once an edition is sold out, which means that the print is no longer available but may still be available from an authorized dealer, the prints are considered to be on the Secondary Market. This means that the print can be bought and sold by any dealer or individual, often above issue price, depending on supply and demand. A limited edition is a series of identical prints produced in limited quantities. 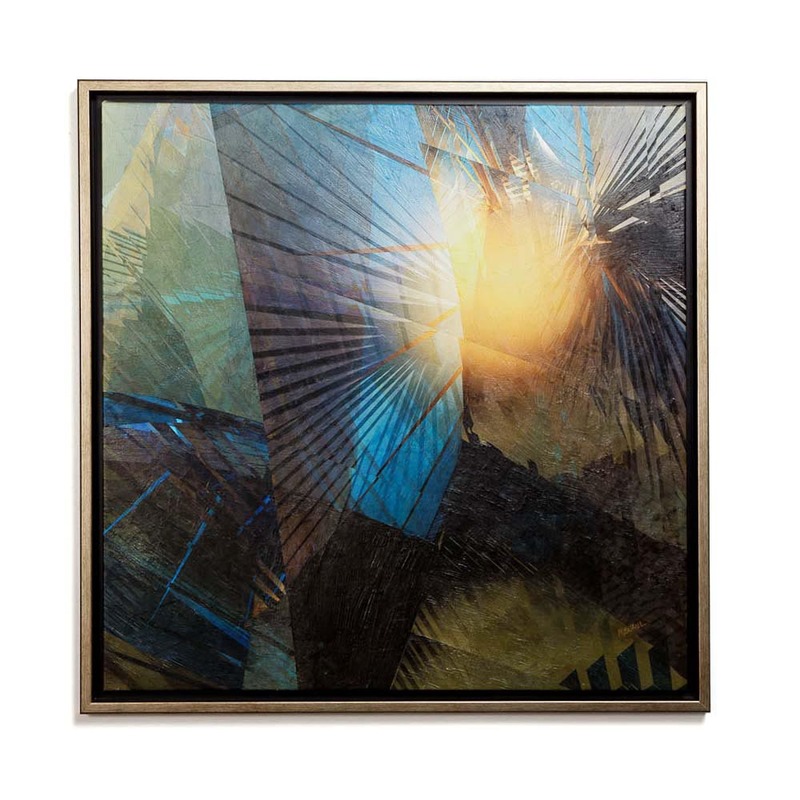 Edition sizes typically range between 100 and 950 prints and are usually individually numbered and signed by the artist. An edition number that reads 110/350, for example, means print number 110 from an edition size of 350 prints. I have heard that reproductions fade over time, what about Giclée? Museum-quality Giclée reproductions are recognized as “the next best thing” to owning the original and can be found in the world’s finest museums and art galleries. Based on independent research and testing, there are various image permanence ratings for each combination of ink and media used in Giclée printmaking. Wilhelm Imaging Research’s image permanence ratings have been provided to the public about expected display-life for various ink and media combinations used in Giclée printmaking today. Our Giclée reproductions offer an image stability rating of 100 years due to the archival-grade pigment inks and acid-free media we use. We use the Giclée Printing Process to ensure a print with brilliant, exquisite color and razor sharp detail, specifically designed to meet the rigorous and precise criteria of fine art collectors and connoisseurs of museum quality, limited edition prints. How does a Giclée differ from a traditional print? Giclée printmaking derives its quality from its seemingly “dotless” imaging technology which contrasts with traditional fine art prints which typically relies on printing screen pattern dots to reproduce full-range color. Because traditional printing dot patterns are detectable to the unaided eye, it is less desirable than Giclée fine art prints for fine art reproduction. Traditional offset prints are typically restricted to papers that widely vary from what the original artwork was created on – especially when reproducing oil on canvas. The Giclée process enables reproduction on virtually unlimited types of media. Giclée (pronounced “jhee-clay”) is a French word meaning “spurting ink”. A giclée is a high resolution digital print and is a recognized fine art print category like lithographs and serigraphs. 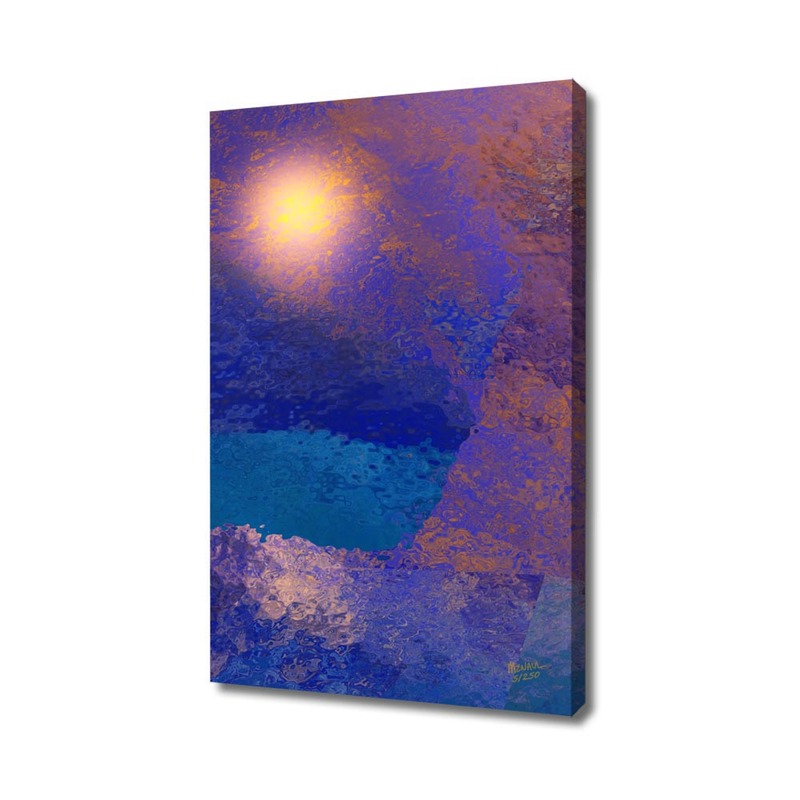 Giclée is considered the world’s best technique for reproducing original works of art and for printing digitally created art and fine art photography. A giclée is often produced on canvas or a high quality rag paper like watercolor paper with an archival ink. 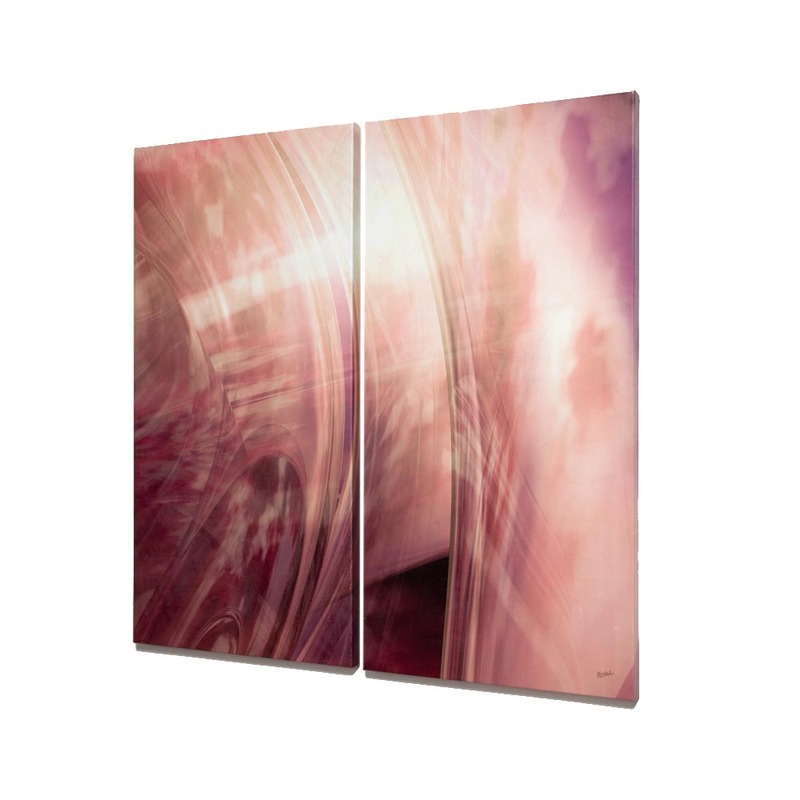 Giclée art is very stable, and resistant to fading and color shifts. Estimates of longevity for giclée prints is usually around 100 years with proper care. 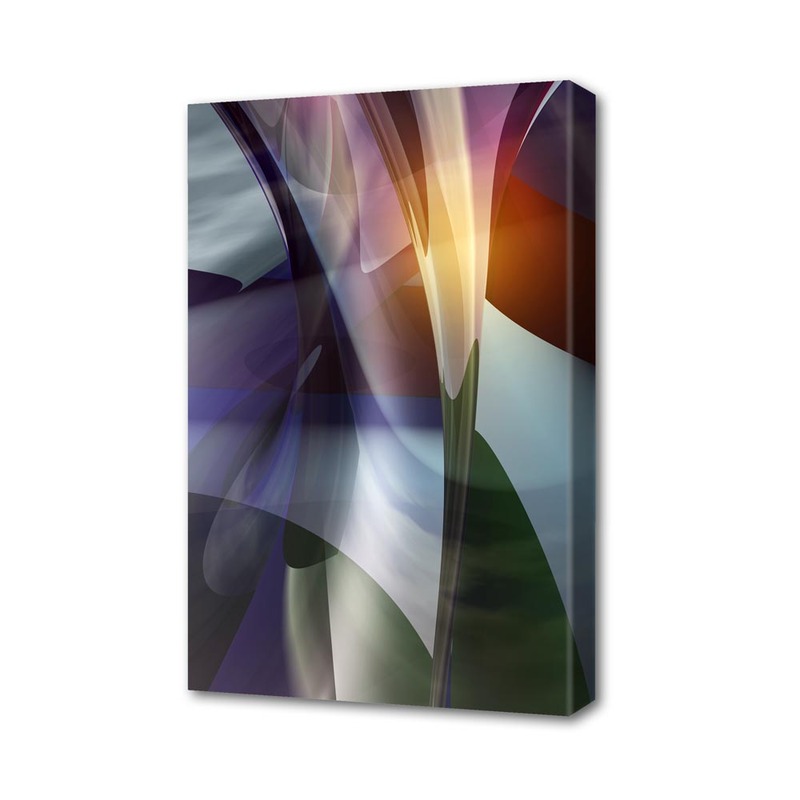 Canvas prints (Giclées) do not need to be framed with protective glass so the image can be seen clearly without bothersome glares. 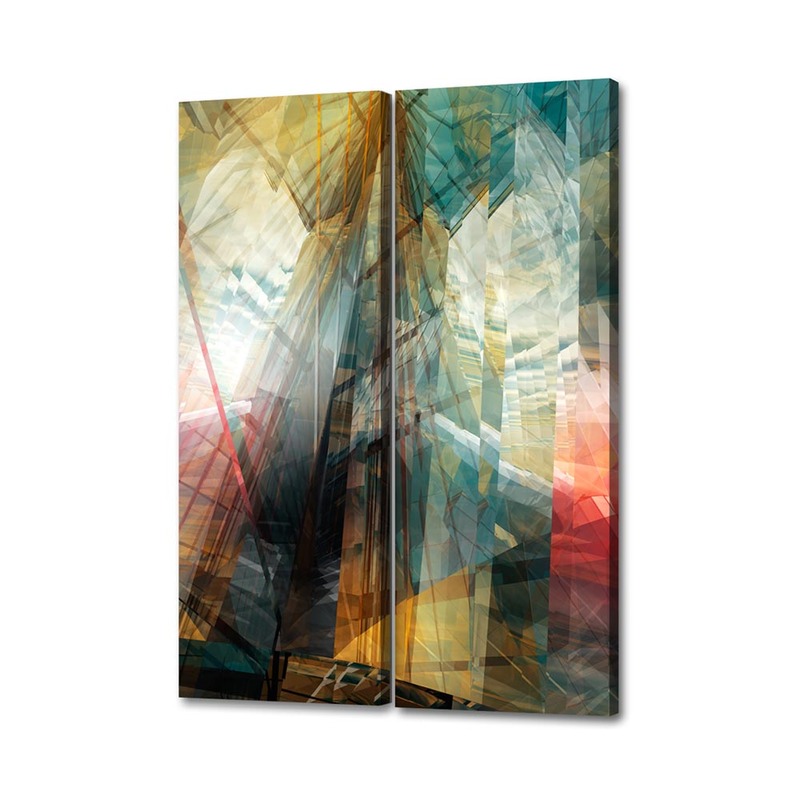 Canvas prints (Giclée) are tougher and far more durable than paper prints. What is Contemporary vs. Transitional vs. Traditional? Contemporary Design usually features very clean lines. Avoids excessive ornamentation. Traditional Design emphasizes finely crafted details and beautifully patterned fabrics. Transitional Design is a blend of traditional and contemporary styles. “..creative art, especially visual art whose products are to be appreciated primarily or solely for their imaginative, aesthetic or intellectual content” according to the Oxford English Dictionary. A Digital Fine Art print is defined by meeting the same standards as any other fine art medium, and it is produced using archival quality surfaces and inks. It is designed to last a lifetime. Archival inks and papers are museum-quality materials, which are designed for longevity and beauty. Papers are acid-free, preventing yellowing and distortion of color.